Cupcakes are all the rage right now with gourmet shops and television shows popping up everywhere. If you’ve jumped on the cupcake bandwagon, then you have probably seen Katherine and Sophie on their TLC reality show DC Cupcakes . These two sisters opened their first Georgetown Cupcake location in Washington, DC in 2008 and never looked back. The business quickly outgrew that first shop and the sisters expanded to a larger store nearby, but now they’re expanding outside the DC area and opening shops across the US. In addition to Bethesda, Maryland and New York City, the most recent shop on Newbury Street in Boston, Massachusetts opened last weekend. 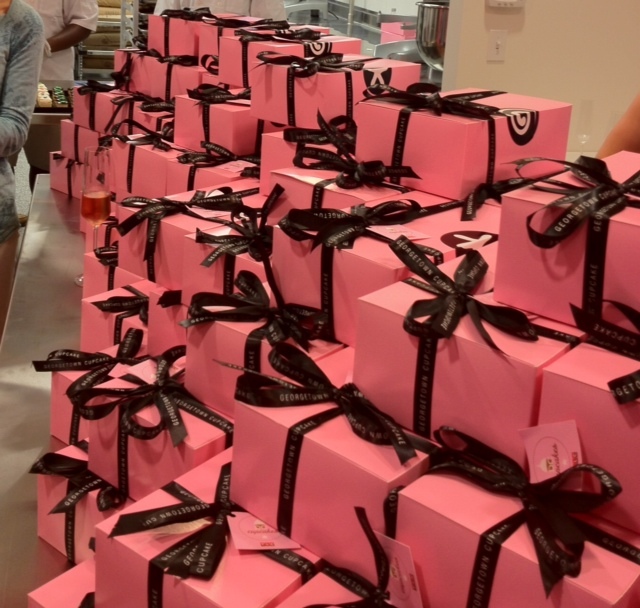 The grand opening was celebrated with a preview night with mini cupcakes galore and champagne. Attendees sampled about a half dozen different flavors of cupcake including Boston Creme, Red Velvet, Salted Caramel and Lava Fudge. After watching the show and drooling over the cupcakes but not having them close enough to try I was thrilled to finally get a taste and find they lived up to all my expectations. Adding to the fun of the evening was a DJ tucked in the back by the kitchen and the presence of Katherine and Sophie as well as their Mommy. It was fun to see these reality television faces in the real world and they were all clearly thrilled to be opening this store and happy to talk with all their guests. I had way more than my fill of cupcakes, although really one can never have too many, and didn’t want to leave, but they sent home everyone with a half dozen cupcakes and a bag full of goodies. My girls were thrilled to find cupcakes for breakfast in the morning and we all can’t wait to go back and taste more delicious baked goodness. 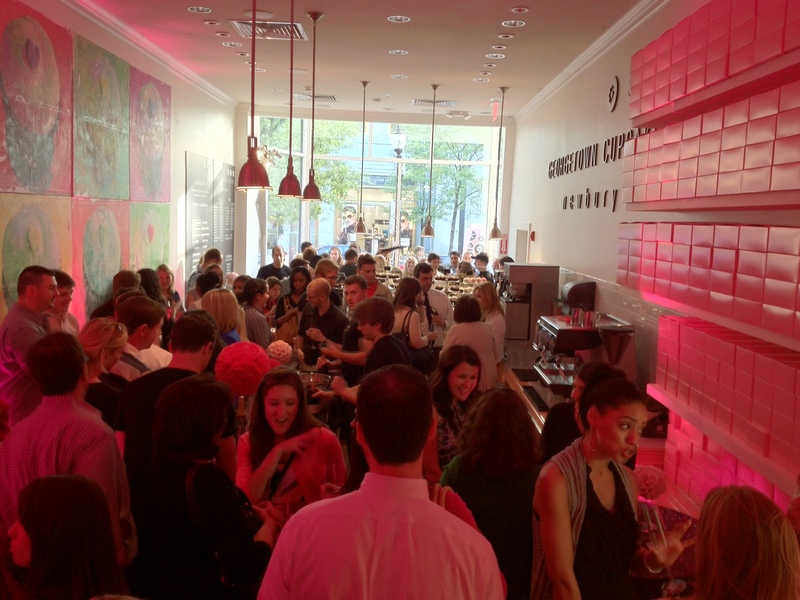 Georgetown Cupcake is located at 83 Newbury Street, Boston, Massachusetts and officially opened for business on June 16th. If you’re in the area, make plans to stop by and treat yourself to some delicious cupcakes!